Dental trauma – what do I do if my tooth is knocked out? While most of us do our best to look after our teeth by brushing and flossing, sometimes the unforeseeable happens. Dental trauma takes up approximately 5% of all physical trauma observed in children. Make sure you and your family are prepared for those bumps, knocks and bruises. Concussion – a very minor injury where the tooth has received a physical force that causes inflammation around the supporting tissues of the tooth socket. The tooth is tender to bite on. Lateral luxation – a serious injury where the tooth has been shifted either towards the lips and cheeks or towards the tongue and palate. Intrusion – a serious injury where the tooth has been shifted into the socket. The tooth may/may not be still visible. 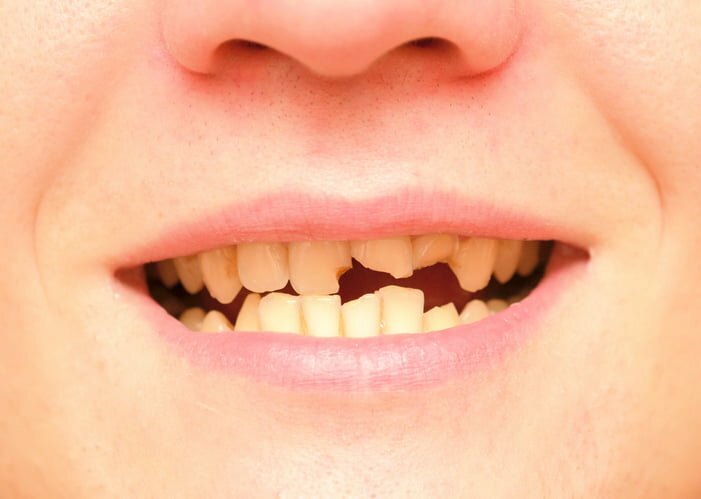 Avulsion – a very serious injury where the tooth has been completely knocked out of its tooth socket. Tooth fracture – this injury can be very mild or advanced depending on the point of fracture. Everyone should know that in all cases of dental trauma, even with the most minor injuries, the pulp can die. I should know: one of my upper incisors received a concussion injury – unfortunately the pulp could not handle the injury and died, and as a result the tooth required root canal therapy. In any case of dental trauma, you should consult your dentist. He or she will examine the site, perform some baseline diagnostic tests and most likely take an X-ray of the tooth. Depending on the type of injury received, the injured tooth/teeth may be splinted for around 2 weeks. A soft diet for 2 weeks is recommended for the more advanced injuries. It is important to keep the tooth monitored regularly for at least 2 years regardless of the type of injury as the pulp may die spontaneously or the root may be resorbed. Never store the tooth in normal water – this kills the still-living cells of the tooth and reduces the likelihood of successful reimplantation. Milk and saline are excellent storage mediums which are relatively available. Consult a dental professional as soon as possible for proper diagnosis and immediate treatment. The tooth will need to be monitored very regularly. Following these steps gives your tooth the best chance of survival. Depending on the patient’s age, the tooth may even successfully retain its vitality!